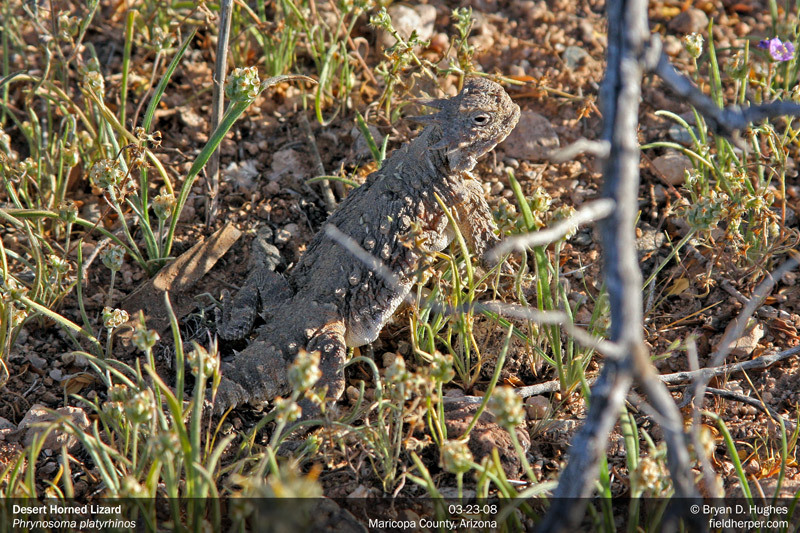 We went for a short hike Easter evening about an hour West of Phoenix and saw lizards of all sorts. I got a few shots that might have had some promise, but am not too bright and left my ISO at 800 from some previous in-home screwing around. Lots of white on my card. Whoops! 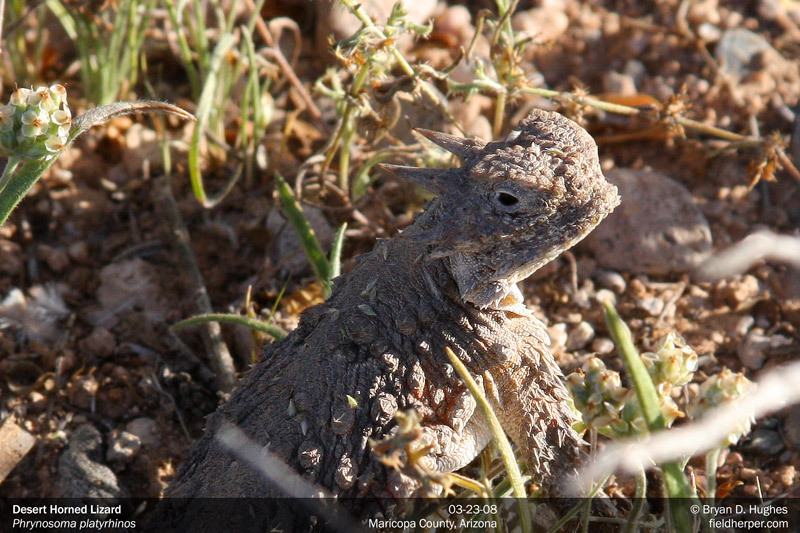 I did realize it in time, however, to get a couple shots of a cool little Desert Horned Lizard (Phrynosoma platyrhinos). * Thanks to Jeff Williams from the AHA for the correct ID. This entry was posted on Sunday, March 23rd, 2008 at 9:02 pm	and is filed under Field Herping, Field Trips, Photography. You can follow any responses to this entry through the RSS 2.0 feed. You can leave a response, or trackback from your own site.